The African Book Review met with finalists for The Brunel University African Poetry Prize to discuss their poems, inspirations, and hopes for the future of African Poetry. Here’s our interview with Viola Allo, a Cameroonian poet, whose poem “From Farm to Schoolroom,” provides an in-depth look at growing up in Cameroon. ALLO: The thing that inspires me to write poetry is mysterious. I have a hard time trying to describe it. What I know is that writing poems makes me happy. I love the joyful feeling I get from the process of crafting a poem, even when the process is frustrating and unpredictable. I am committed to writing poetry, and I am committed to staying with the creative process. At times when I don’t feel inspired, this commitment keeps me going. Lots of things inspire particular poems, and sometimes multiple things come together to inspire a poem—events, memories, dreams, people, conversations, emotions, images, stories, poems by other poets, objects, places, ideas and issues I want to work through or speak about. Being a poet has helped me see life as something filled with countless poetic possibilities. ABR: Your poem, “From Farm to Schoolroom,” which is a finalist for the Brunel African Poetry prize, describes growing up and going to school in Cameroon. Can you talk a bit about the inspiration for this poem and the process of compiling so many different things to produce an in-depth snapshot of life there? ALLO: I love the way you describe my poem. It makes me feel that it is a success—that you were able to read it and see things in it that I see. “From Farm to Schoolroom” is a “model” poem. I wrote it five years ago, as part of an assignment in a poetry workshop. I modeled it on George Ella Lyon’s poem, “Where I’m From.” That was the assignment the professor gave to our class of community college students—to read George Ella Lyon’s poem and then come up with our own versions. It is a classic “list” poem. When I began working on the poem, I wrote down my list of things that I thought would describe what it was like for me to grow up in Cameroon and leave the country after so many years of being educated there. The poem evolved as I created my list and revised it. I have several versions of the poem, and I titled one “Education” because schooling emerged as a central theme in the poem. School was a big part of my life in Cameroon. School is a big part of life for many children in Cameroon. Education is more than simply valued by many Cameroonians—it is celebrated. Education just made sense as the central theme for the poem. Food is also an important theme in the poem. I come from a very agricultural region of Cameroon. My ancestral homeland is a fertile place, and the farm itself is the first schoolroom. Life there, in essence, revolves around food and farming. Also, plantation agriculture is an important part of the Cameroonian economy, especially in the tropical south. If you visit southern Cameroon, some of the first things you will notice are the vast, seemingly endless plantations. The cultivation of food and the preparation of food for consumption are so central to life and community in Cameroon, I couldn’t help but have the poem begin with food and some of the utensils used for food preparation. Many of my poems about Cameroon are descriptive in a very subtle or deliberately ethnographic way. It’s not just my background in anthropology coming through. It’s my desire to give my audience a “snapshot” or an intimate view of things, even if only through my eyes. When I think about things, I am always shifting perspectives, zooming in and then zooming out, trying to make sure I see everything, if possible. I am looking at my experiences but also thinking of other people, thinking about history, about contemporary issues. The poem is so multifaceted because that’s the way my mind works—and the way life works. In life, many things happen at the same time and affect each other. As human beings, we are products of so many different forces and factors coming together. Local and global things shape us. The past, present and anticipated future are powerful influences in our lives. We cannot measure all the forces and events that affect us, but we can be aware of them. In this sense, “From Farm to Schoolroom” is a very ambitious poem. It contains an awareness about many things, and the result is a bit messy and straightforward but quite comprehensive. ABR: The conflation of history on a national level, “I am the cost-effective mono-crop sprayed and kept pristine with the pesticide of new knowledge” as well as daily life, “I am from pass your exams in ten subjects” and “I am from why are you frowning” all converge to produce a multi dimensional look at growing up in Cameroon. ALLO: The line “I am the cost-effective mono-crop sprayed and kept pristine with the pesticide of new knowledge” is arguably the most powerful line of the poem. I wanted a metaphor that would describe education as the cultivation of a “crop” of individuals whose minds would be shaped by the “pesticide of new knowledge”, and that new knowledge would be focused on the 20th century and on the West. Shortly after writing the poem, I traveled to Cameroon. On my return flight, departing from Cameroon, the flight crew sprayed an insecticide into the cabin of the airplane before take-off. I know that this spraying of aircraft is a public health measure, but the experience unsettled me. I also have a memory, from a few years ago, of seeing a photograph of an airplane flying low and spraying pesticides over a plantation in southern Cameroon. On a road next to the plantation, there were schoolchildren walking, going home perhaps. The children were literally being sprayed with pesticide. These things made me see the metaphor as a good choice for the poem, even though I do not view education in as negative a way as the metaphor portrays. I hope the poem does a good job of summarizing many things while maintaining its depth. For a long time, I was not happy with the poem. I felt it was missing something. I almost did not include it in my submission of poems to the Brunel University African Poetry Prize. To see the judges include it in the list of sample poems is an incredible honor and joy for me. I am getting feedback from people who read the poem, people from various walks of life, and their feedback is very positive. I appreciate this deeply and feel encouraged. I can now look at “From Farm to Schoolroom” and see the many ways in which it is successful. ABR: As a Cameroonian poet, how has Cameroon influenced your works, and what do you think the future of poetry in Cameroon is? What ideally would you like it to be? ALLO: Cameroon is definitely at the heart of my poetry. I was born and raised in Cameroon. My experience of growing up in Cameroon shapes a lot of the way I see things and the way I express myself. My childhood and adolescence spent in Cameroon heavily influence my voice and style as a poet. I have lived in the USA for over a decade, but Cameroon has the greater influence on me. All the same, no matter what voice I use in my writing, I prioritize clarity. I want readers of my poetry to find my poems accessible and enjoyable and not too obscure or abstract. I write with a Cameroonian audience in mind, but I also write for an American and an international or global audience. I want my poems to be accessible to readers from anywhere in the world. It makes me so happy when people from various parts of the world read my poems and tell me that they can relate to (or at least enjoy reading) what I wrote. I believe that the future of poetry in Cameroon is rich and exciting. Cameroon is linguistically diverse, a place of vibrant languages and gloriously poetic expression. I see Cameroonians continuing to tap into the poetic wealth of their languages, dialects, Pidgin English and slang and sharing this wealth with the world. I see a bright future for poetry in Cameroon and for poets from Cameroon. I offer my poetry as my small contribution to that bright future. ALLO: I love So Long a Letter by Mariama Bâ. It is so poetic and filled with honesty and tenderness. It feels so real. No other African writer moves me as much as Mariama Bâ does in her novel. I love Xala by Ousmane Sembène because it tackles serious social and gender issues with so much humor and straighforwardness. I love Nervous Conditions by Tsitsi Dangarembga. It’s one of the best novels I have ever read. I enjoy The Joys of Motherhood by Buchi Emecheta and Waiting for an Angel by Helon Habila. I appreciate Echoing Silences by Alexander Kanengoni, When Rain Clouds Gather by Bessie Head and The River Between by Ngũgĩ wa Thiong’o. I really like Toloki, the main character in Zakes Mda’s Ways of Dying. I enjoy The White Man of God by Cameroonian novelist Kenjo Jumbam. For short story collections, I appreciate Say You’re One of Them by Uwem Akpan (he and I were classmates in Ruth Behar’s ethnographic writing seminar at the University of Michigan, Ann Arbor). For memoirs, I like The Dark Child by Camara Laye and Ake: The Years of Childhood by Wole Soyinka. For essays, I appreciate Chinua Achebe’s The Education of a British-Protected Child: Essays. ALLO: I am always working on my poems—that is a given! However, for the year 2014, I am also working on two book projects. One is a mixed-genre collection of essays and poems, and it brings together my love for poetry and for creative nonfiction. My other book project is to prepare my first poetry collection. Future projects for me include finding ways to grow as a writer and artist. I plan to write and illustrate a children’s book and to write a memoir. I find fiction to be a challenge for me, so I would like to write a novel someday and perhaps also create a collection of short stories. I plan to develop my artistic interests in dance, music, drawing, painting, and photography. I am a yoga teacher and Ayurvedic wellness counselor, so I have plans to broaden my knowledge of yoga and Ayurveda. No matter what projects I pursue, I will always have several poems I am working on. Poetry is a passion for me, a life-long passion. Viola Allo is a Cameroonian-born poet based in the United States. Raised in Cameroon, she migrated to America at 19. She holds a BA and MA in psychology and anthropology respectively from the universities of California (Davis) and Michigan (Ann Arbor). Her poems and essays have been published in the American River Review. Her poem Nigerian Girl With Calabash was published in Poetry for the Mind’s Joy (2010), and was selected as “Best in the Nation” by the Community College Humanities Association (2011). 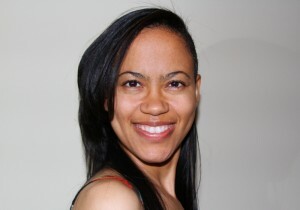 Viola is a certified yoga instructor and Ayurvedic wellness counselor. She currently resides in Sacramento, California. She writes at http://letterstocameroon.wordpress.com/.